It was rainy at the foot in the morning but it suddenly cleared up. The wind got harder as I reached the middle area by Gondola and there was a strong westerly wind blowing on the top… It seemed that it had been snowy on the top area as the wet fresh snow accumulated about 3 cm deep on the non-compacted area. “We enjoy your reports. 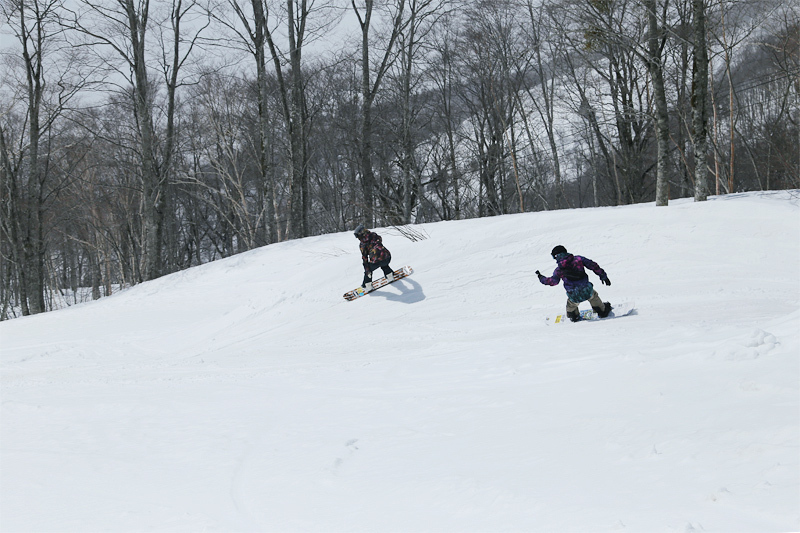 The slope condition is great today! 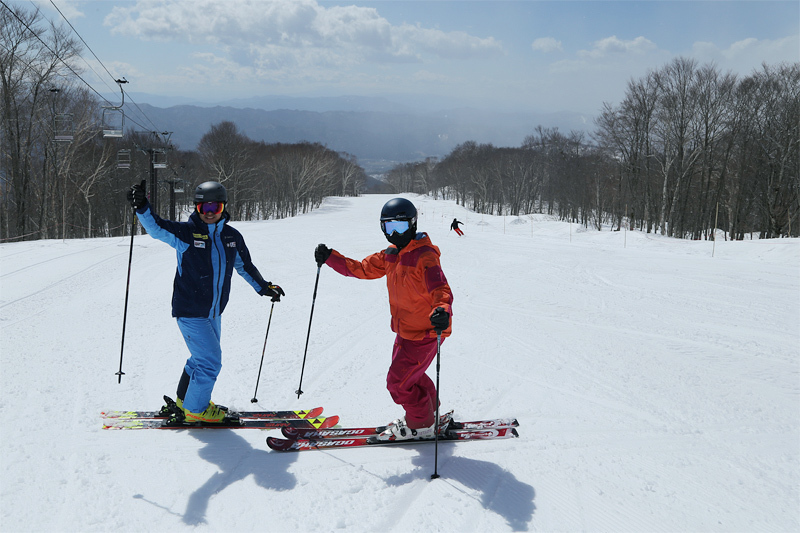 It’s worth coming taking off”, two skiers from Shizuoka Prefecture said. Fine granular snow was nicely firm on the compacted area along Hannoki High-speed Pair Lift. I was a bit stuck in the thin layer of fresh snow at the starting area but my skis ran smoothly after that. 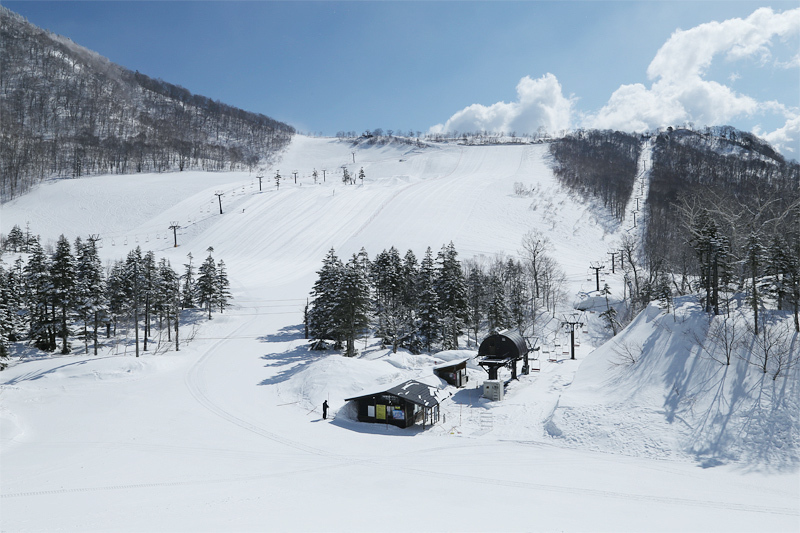 The course used for BANKED SLALOM, which was held on Apr.13 (Sat), was open for public on the skier’s right side along Hannoki High-speed Pair Lift. The snow in the middle and the last area contained moisture but I enjoyed making turns, not being stuck. There was no buses or bare parts on my way to Gondola Sanroku Station. 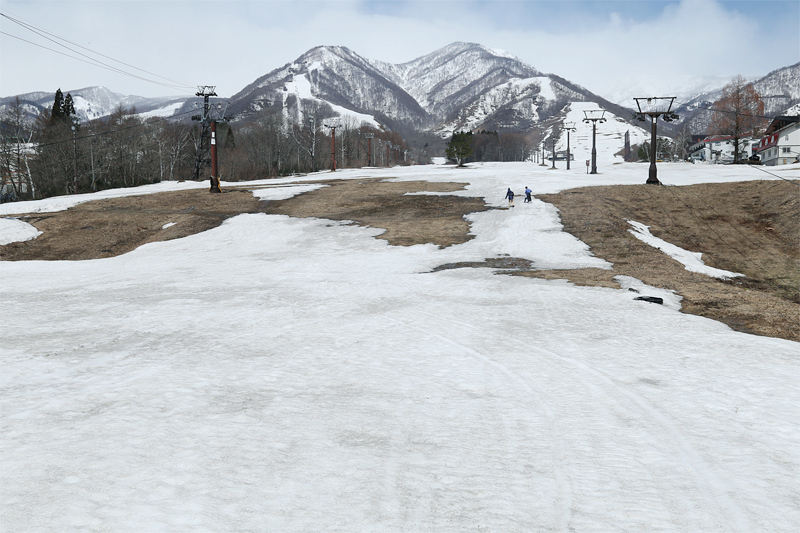 Some parts were narrow and just covered with a thin layer of snow at Karamatsu Course. Tsuga No.2 Pair did not work, while Gondola and Hannoki High-speed Pair Lift were suspended around 9:20 a.m, and 10:30 a.m. respectively due to the hard wind.